We are 100% Listener Supported. We wish to continue to run without ads and your support helps make that, and this entire show, possible! We’re lucky enough to have some incredible voices and talents in our show. So what do you say we get to know them? is a full time voice actor and life long performer and vocalist based in Texas. She has a wide range of vocal and emotional expression that, when not being channeled into work, causes her to burst into song in long lines or dramatically narrate mundane activities much to the annoyance of unsuspecting strangers. Other things she enjoys in her free time include petting every dog she meets, bingeing classic Sci-fi and geeking out on twitter, playing almost any tabletop, board or video game with a good story and not using the Oxford comma. She also runs a talent pool with a welcoming artistic community and assists various projects with project management and organization, script supervision, social media outreach, directing and casting. You can find her working in everything from commercial and industrial recordings to animation and character voices. For updates, information on current work or general tips and advice about voice acting, you can follow her on twitter @JustTheClippy or get in touch at amhufford16@gmail.com. is a multidisciplinary performer from Austin, TX. She's stoked to make her audio-drama debut with the Carafam! 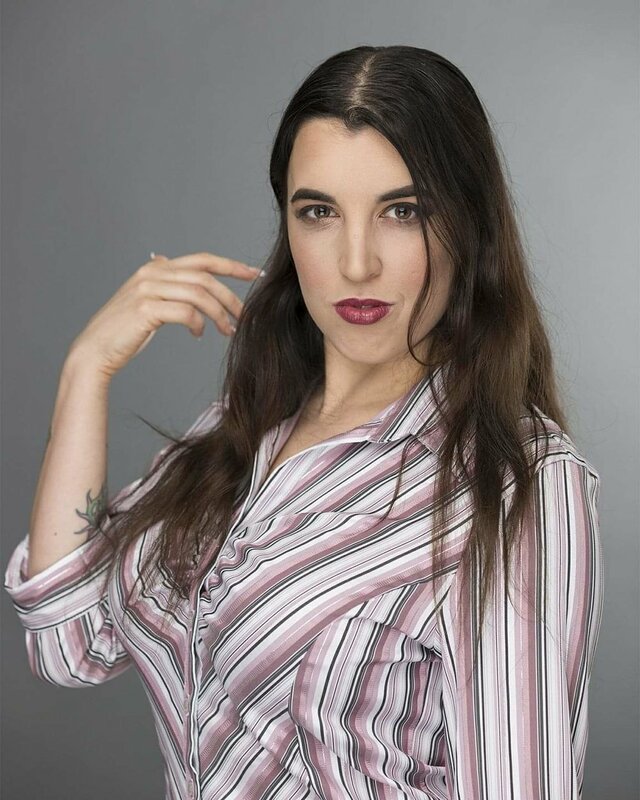 Whether or not she's sporting a french accent, you can find Arielle on stage either playing Juliet in Sh!t-Faced Shakespeare, improvising around Austin's comedy scene, being 1/2 of her musical comedy duo "Mama Said," playing music solo or with her full band as a self-titled singer-songwriter. Arielle works a 9 to 5, dabbles in calligraphy, and drives a grey Volkswagen Beetle. is a CPA and P90X enthusiast who really needed a creative outlet. He is excited to make his voice acting debut in Splintered Caravan. Please don’t ask him for help doing your taxes. is a Texas native who recently moved back to Austin after spending several years on the East Coast. With a penchant for creating zany voices and doing impersonations, he decided to pursue voice acting after years of encouragement from family and friends. Ben has previously applied his vocal talents singing in high school musicals, winning cruise ship karaoke contests, doing persuasive speaking in college, and attending movie quote-a-longs at the Drafthouse. Possessing a deep baritone that can be heard across a football field, the only kind of voice he can't do is a quiet one. "Hops" is his first role, and he looks forward to more opportunities to explore his vocal versatility. is a voice actor, songwriter and musician living in Austin, TX. He enjoys all aspects of storytelling through his songwriting and through his artistic performances. In his downtime, you can catch him in the recording studio or playing the newest video game. is making his audio drama debut but is no stranger to acting! In his hometown of Laredo, Texas he was in "The Outsiders" (Dallas), "Taming of the Shrew" (Gremio), and "The Laramie Project" (where he held 6 roles) just to name a few! He looks forward to a long and beautiful career of playing pretend. Born and raised in New Jersey, Erin has been acting since age 5. She has lived a ridiculous life that you probably wouldn't believe should you read it in a short, actor's bio, so let's just say that she hopes to meet you in person one day for coffee or tea so the two of you can share stories. A professional nerd who has dabbled in everything from Art Direction to Audio Editing, she is most notably known for her role on Splintered Caravan and her appearances on the Rooster Teeth Production: Tuesday Night Game Fight. She finds that she is most excited to have recently earned the role of Mom to her son Cyrus. is an actor, writer, comedian and pun aficionado based in Austin, TX. He is a two-time cat dad and one hell of a dance partner. is a writer, editor, social media manager, and comedian. 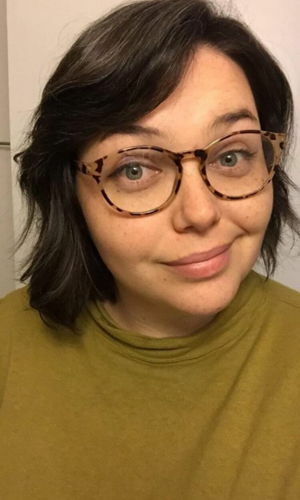 Her work has appeared in Dork Shelf, Space City Nerd, Gutterfags, Houston Press, Houstonia, and other digital, print, and stage outlets, and she serves as the editor of Speak No Evil at Gray Bear Comics. She graduated from the comedy conservatory programs at Station Theater and ComedySportz Houston and performs regularly as a cast member at ComedySportz Houston and in the improv troupe I’m Just Happy to be Here; in addition, she made her festival debut in the 2016 Trill Comedy Festival as a guest of Magical Lying Hour. In 2017, she served on the writing staff of the first two seasons of Blue Shift, Station Theater’s house sketch troupe. She has performed as a guest of Rock Paper Improv, Grief Bacon, Supernova, the Good Enoughs, and in the Anchor Sketch Showcase, among others. You can currently hear her as the voice of Talis in the audio drama Splintered Caravan and on KPFT channel HD2 as the co-host of Pop & Schlock. She holds an MLA in English from the University of St. Thomas and refuses to debate the Oxford comma. is an independent filmmaker, VO artist, host and entrepreneur. She Co-Founded the production company She TV Media. Whether it be short documentaries, interviewing subject experts, or how to make the most bomb guacamole, Meredith has your back. Meredith's short film, Avo-Wiedersehen, is a Moving Pictures Festival nominee. Her other works include: Hurry Up and Wait, a social justice web series she wrote, produced and performed in and many more. She is currently in post production on a female empowerment documentary called Story in Her Eyes, following seven inspiring women's stories of love, hope, and overcoming abuse. is pumped to make her audio drama debut! She's a dramaturg, a theatre festival producer, a cross stitcher, a crazy pet lady, and your favorite gal Friday. Is the Director and Writer for Splintered Caravan. He puts his passion into everything that he does and Splintered Caravan is nothing less. He’s also produced his own comic book under his self-published Overtime-Comics. Is the man in the shadows. That’s a nice summary he said, and so we’re leaving it at that. He’s like the real man in the shadows. He does all of our audio editing and sound design. 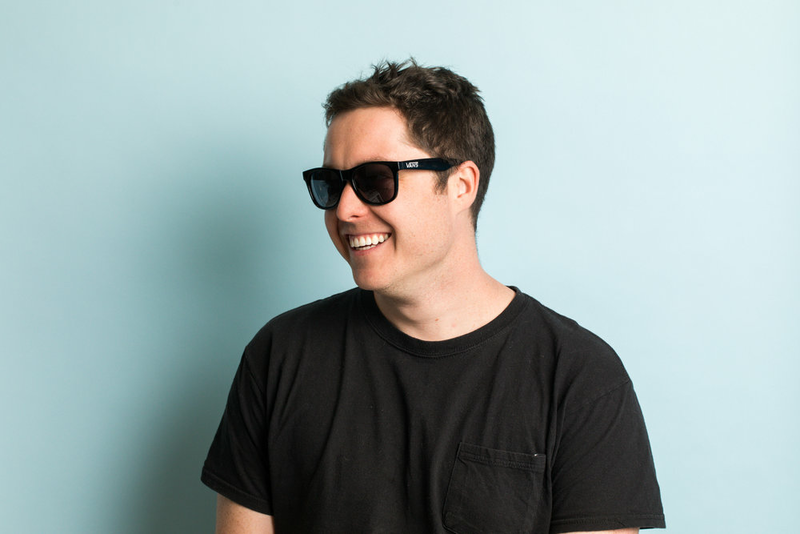 As an accomplished video game sound designer we we’re very lucky to have him on the team. This is a special shout out to all of our supporters on Patreon! Thank you all for being incredible and having our backs!